A well designed event can make your guests feel like they are in another time and place. At Track Seven Events, one of our favorite themes is an Ancient Egyptian party. To create that feel, we use a compelling blend of party furniture, props, lighting, and more. To create an Egyptian theme for an event, we use the typical party furniture such as tables and chairs, but we go far beyond that. In particular, we can set up small awnings or indoor canopies. These can contain curtains that when open create the luxurious feel of draped fabric and when closed can create several small conservation areas throughout your event. Whether you go for an awning or not, we like to integrate Oriental rugs and textiles into these events. Then, we put out comfortable sofas with ornamental pillows. If you prefer a more traditional theme, we can add floor pillows. In either case, this party furniture works together to create the sensation that you are in Egypt at a hookah lounge or a coffee shop. Party furniture is just the start. We like to finish the theme with small decorations and accessories. If desired, we can put out hookah pipes for decoration, or we can create centerpieces styled after pyramids or other iconic Egyptian elements. Depending on your objectives for your event, we can do anything from life size camel statues to worry beads to Fatima's hand. We want the event to feel as if we've brought in accessories from an Egyptian bazaar. To complement the themed furniture and accessories, lighting is essential. Mood lighting helps to create the sensation that your guests are in Ancient Egypt, and projections can also create a fun effect. Imagine the iconic shapes of pharaohs dancing across the walls of your event, or opt to decorate the walls with projections of Queen Nefertiti, Cleopatra, King Tut, or your favorite heroes and leaders of Ancient Egypt. Want to give your guests the feeling that they're sitting next to newly built pyramids thousands of years ago? Then, you may want to cover your ceiling with stars. As the Great Pyramids were oriented to face Orion's belt, stars are ideal for this type of party decor. The right music is essential for any type of event. Do you want quiet classic oriental music in the background? Do you prefer louder music paired with belly dancers? Want to kick off the party with the Bangles' "Walk Like an Egyptian" and then segue into other fun '80s pop? We can do all of that and much more. Of course, Ancient Egypt is just one theme option. You may also want to play with related themes from different areas or nearby parts of the world. To that end, you may want an party with a Persian theme. Think flying carpets, genies in bottles, luxurious Persian rugs, and whatever other party furniture and accessories help to set the scene. Whether you want your event to be set in Ancient Egypt or in another time and place, we can help you make that a reality.  Contact Track Seven Events to start planning your event today.